By Singyin Lee in Internet. Updated on November 22, 2017 . 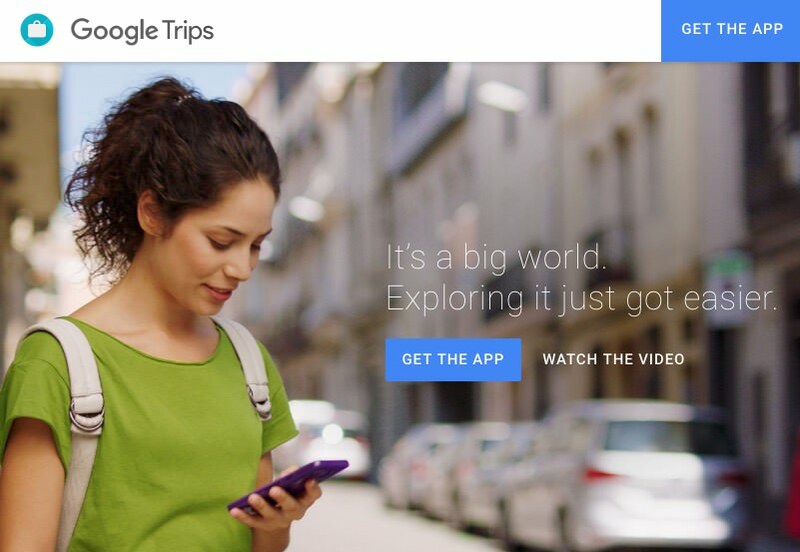 Google released Google Trips, an app that wants you to "see more, plan less". The app aims to do this by making the planning part a lot more convenient, less stressful and hassle-free. If it sounds too good to be true, you’re right. The good news is, we’re getting there, slowly but surely with travel planner apps. For those unfamiliar with travel planner apps, you can now easily create your itinerary, book tours, flights, accomodation and car rentals etc. right from your laptop or mobile app. 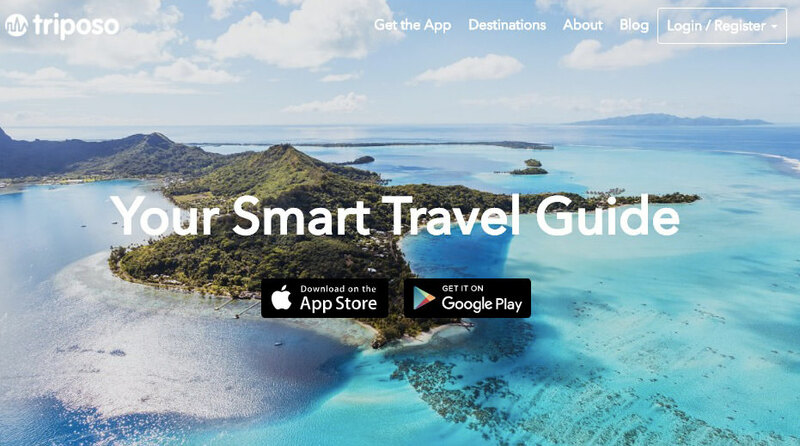 In this list, I have 9 other travel apps apart from Google Trips, each with their own specialty that will probably prove useful for different groups of travelers. You will find apps that let you look up budget hostels or plan multi-city stops easily, online communities that share and feature travel itineraries in exotic locations, and even travel apps that can work offline, like Google Trip. Let’s check them out. 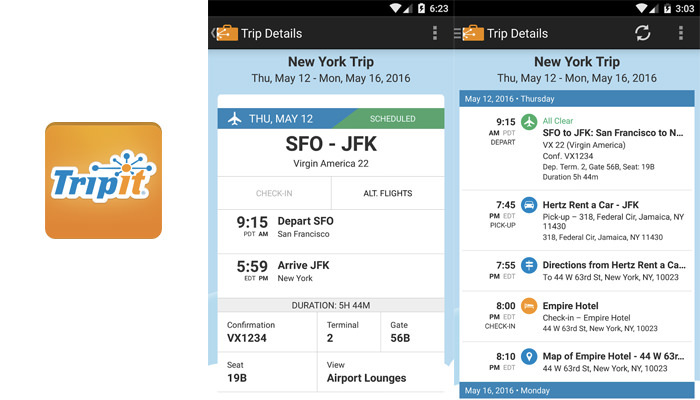 Google Trips is a new app that helps you plan an upcoming trip. It pools information from airline ticket confirmation emails (flight number, travel dates and destinations) as well as hotel reservations that are sent to your Gmail. That said, this is already available to you if you use Inbox (check the Trips bundle). Based on where you are going, Google Trips offers you relevant travel guides you can download and use offline. The info in the downloaded bundle includes the contact info, ratings and reviews of places to visit (if you have saved places from Maps, it is included too). Nevertheless if you’re looking for directions, this will require location services and an active Internet connection. As you can tell, a lot of the travel info Google Trips falls back on are made available from other Google services like Google Maps, but as a travel planner app, it probably has to do a lot more to keep up with the rest of the planner apps here. If you are an adventurous type but not really a good planner, how about looking at other trips planned by fellow travelers for inspiration? Triphobo lets you look at other globetrotters’ itineraries or find ground tours in over 15,000 cities in the databse. You can work on top of a complete itinerary and customize them to suit your travel style and needs, rather than start from scratch. On top of that, one of the best things about Triphobo is the smart planner. It is a tool where you can make travel arrangements through multiple cities, all on the same page. Choose the cities you want to stopover, dates of travel, how you want to travel from city to city, book your flights, airline, departure time or buy bus tickets all inside the app. Along the way you can also check the ratings of hotels and other accommodations, as well as find things to do, and make relevant bookings straight from the app itself. This one is for travelers who have specific needs and would like to get answers to their burning questions before making a booking. 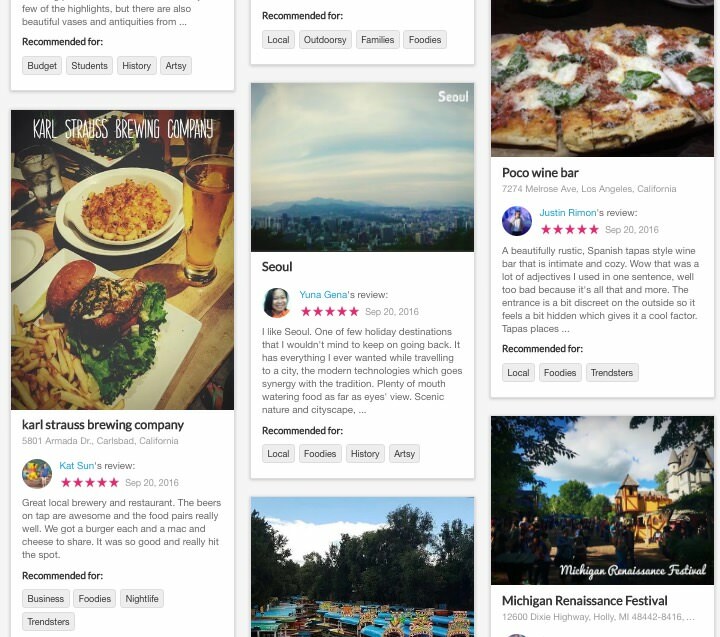 Gogobot is a community-powered review site which tackles restaurants, hotels and attractions in major cities. Its novelty lies in the Gogobot Tribes which refers to something like a travel type. There are tribes called backpackers, history buffs, nightlife lovers, spirital seekers and even vegetarian. When you join a tribe you can access the group’s wisdom by asking them for recommendations, advice, tips and city secrets to make the most out of your trip. The site also has a full range of hotel deals to choose from in major cities. You can search by the hotel class & type, date of travel or price. These hotels also carry reviews and ratings by Gogobot members. If you’re not sure about the Internet access of your destination, here is an app you can work offline. You just need to download the travel guide for the destination you want first, then you can work the app like an offline map. 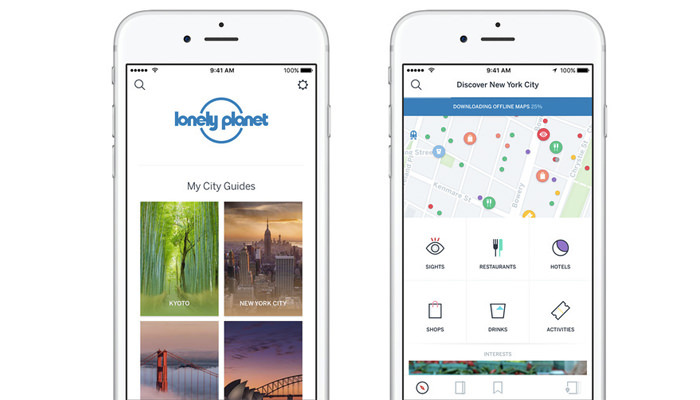 It sifts through open content sources like Wikipedia Flickr, TouristEye and World66 for data and reviews then comes up with personalized travel guides for users. The Android app also has a currency converter, weather forecast (requires connection), phrasebooks for your communication needs and info about local festivals, culture and food offerings. While you can book hotels straight from Triposo, the search is powered externally by Booking.com. 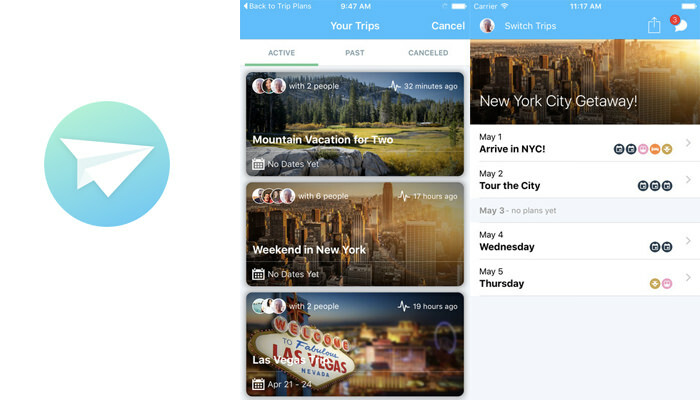 TripIt is essentially an itinerary maker. It does none of the bookings for you. What it does is help you consolidate all your hotel, flights, tours, rentals and other similar travel arrangements into one place. Using its mobile app you can have access to every detail of your bookings in the same spot, no more rummaging through paperwork or emails and such. 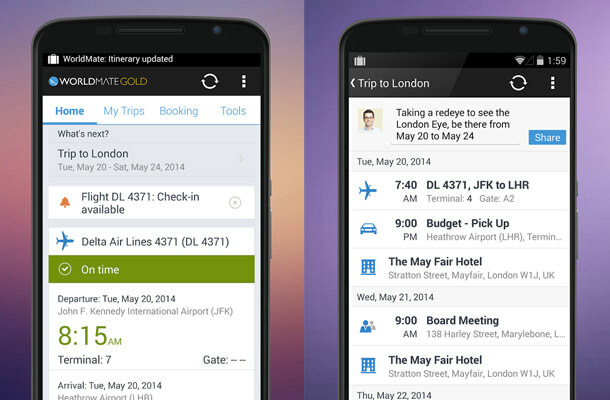 TripIt has two versions: one free, the other Pro ($49 a year). Both let you create, edit, store and share travel plans, as well as sync to your favorite online calendar. However, only the pro version give you more flight-related features such as real-time flight status, better seat notifications, reward points tracking, and VIP travel benefits from their travel partners. Travefy Personal is a web app that lets travelers plan itineraries and trips together with their friends. The app has 4 basic functions, Itinerary, Invites, Discover and Expenses. With the app, you can organize trips together with you friend (invite them first), and pull up recommendations straight from inside the app. Best of all the app has a good expense management tool to help you and your travelling group keep to your travel budget. While the planning stage is limited to the web app, Travefy has an Itinerary Viewer app that is available for iOS and Android. On this app, travelers can browse through the details of the itinerary even though there is no Internet connection. 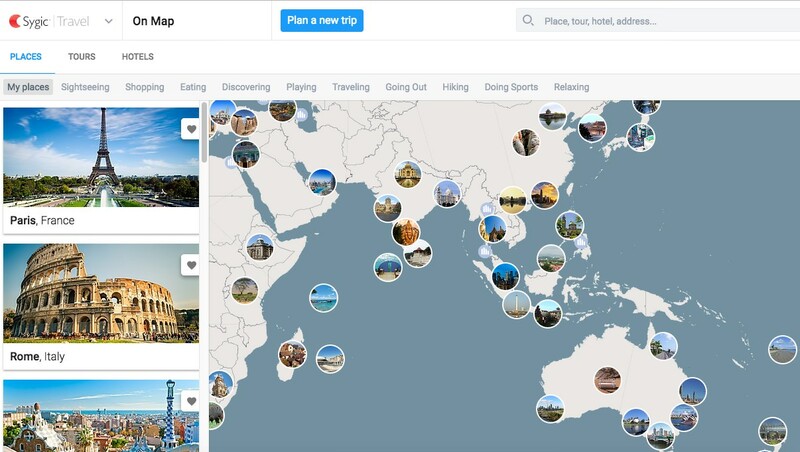 Trip Planner Sygic makes planning trips easier by spreading it all across a map. For those who didn’t really like the Geography subject in school, this can be helpful for planning longer backpacking trips where you go where the wind takes you. Sort destinations by what you want to do (e.g. hiking, snorkeling, shopping), join different types of sightseeing, walking, bike or bus tours — there are fast-track tours available where you can skip the queue — or book hotels all right from the app. The app works offline and if you have multiple devices with you, it also syncs all your planning through all installed devices. WorldMate is an itinerary management tool for professionals. All confirmations made via email can be imported into the app to create a complete itinerary. The app also ensures that travelers receive real-time flight status reports and delay alerts, or even book alternative flights, in case of a cancelled flight. The iPhone app in particular lets you search and book hotels, filtered by ratings, location and price. Users can also set alerts to find special hotel prices and the app itself can automatically find better deals from hotels around the same area. It also has good support for last-minute flight booking, especially if the flight you are supposed to be on has been delayed or cancelled. Make alternative bookings instantly on the app. The app is integrated with LinkedIn and will let you know if a LinkedIn Connection is nearby, and if your travels take you across timezones, the app’s, tip calculator, price and time converters can be of great help. 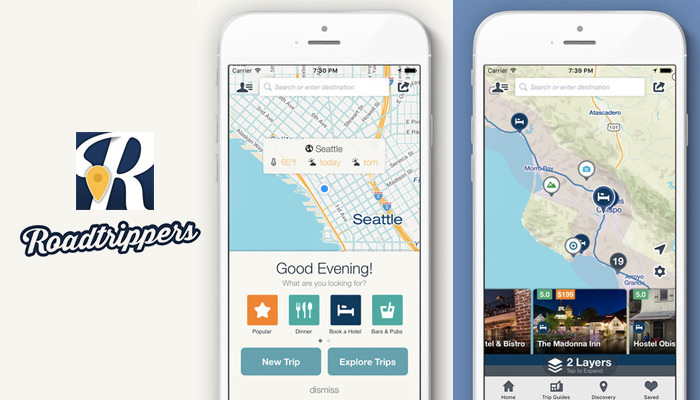 Roadtrippers is a fun app for those who prefer roadtrips to flights or other means of travel. The only catch is this only works in the US, but for a good reason. If you head on over to the Roadtrippers website you will be treated with plenty of awesome trip guides you can follow. We’re looking at 48-hour guides, National Park visits, trips down the interstate, Offbeat Routes, Scenic Drives, outdoor escapes, movie filming locations and for the brave, Ghost Guides which take you to haunted places! Plan your roadtrip on the web app or mobile app then share them with the rest of the group. The app also comes with time estimation from Point A to Point B but requires the GPS turned on to work, which may zap your battery juice. Lonely Planet has been a staple name in the travel-the-world group. Its app gives you city guides in multiple countries with listings for sightseeing, shopping, local cultural events, activities and more. There are tours catering to small groups, nature and wildlife, history and culture, and more. From the site itself, travelers can book flights, hotels, airport transfers, car rental and even buy insurance. Lonely Planet is also home to many articles written by avid travelers sharing their newfound appreciation for a new destination. Articles like this will inspire you to take out your passport and book the next flight out of there. Hopper – A prediction app that analyzes airfare and notifies you when a flight fare is at its lowest (and worth buying). High accuracy rate reported by users. Zyppos – A place where you can ask travel experts for hacks to achieve your travel goals within your budget. Great for large groups or for complex trips. GateGuru – Info on airport amenities, services, weather forecasts, maps, airport tips and more. Localeur – Get authentic reviews from the locals (who else knows the city best?) on the best places to wine, dine, shop and check out. LoungeBuddy – Stuck in a long layover? Sometimes it is worth investing in airport lounges. This is the app for you to enjoy your wait time. Travel no longer has to be a pain. HostelWorld – Find hostel reviews, photos, pricing, booking availability from over 33000 properties in over 170 contries. Trivago – The largest hotel search website to get best rates, last minute discounts and money-saving deals. Kayakflights – Search for great bargains on flight fare. 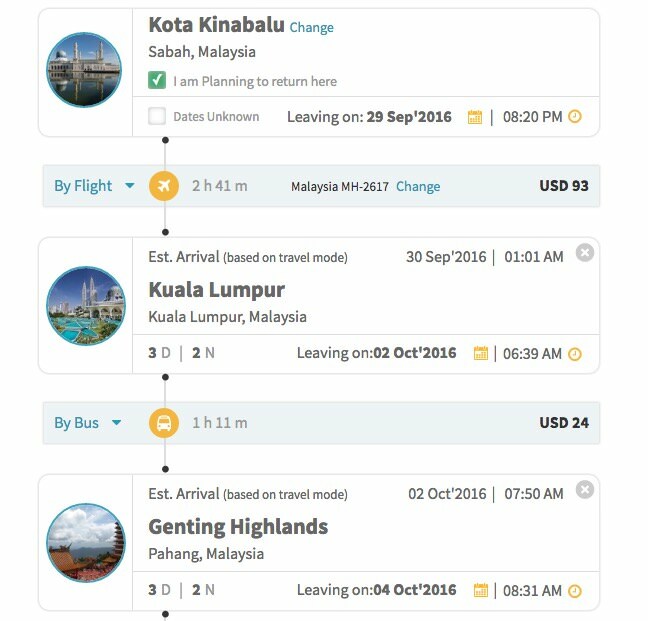 Skyscanner – Get deals and alerts for the best prices for car rentals, hotel rates and flight fare.